Ruby Country Partnership is pleased to announce 17 new walking trails developed in conjunction with local walking expert, David Arney. These walks are self guided and to get the best from the routes we advise using the appropriate OS Explorer or Landranger maps. Click on the links below to view, download and print the walking routes. The 8 Ruby Walking Trails available are also available for you to purchase or download. The trails follow way-marked routes starting from Holsworthy, Hatherleigh, Bradworthy, Cookbury, Sheepwash, Petrockstowe, Tetcott and Germansweek. You can purchase a pack for £2 from Holsworthy Visitor Information Centre. You can also purchase a pack by sending a cheque for £2.50 including postage and packaging to the address on the contacts page. Visitors to this side of the lake can enjoy miles of footpaths and a cycleway which winds its way through a maturing planted forest overlooking the Lake. Download the Roadford Lake Brochure for more information (PDF Download). 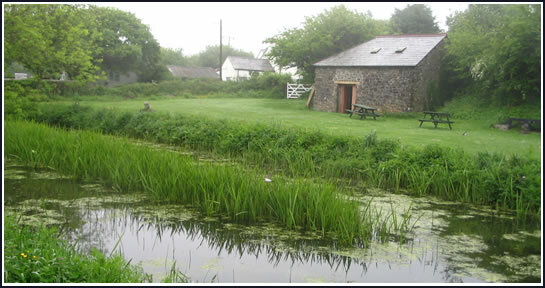 Another lake managed by South West Lakes Trust Tamar Lakes is located in the north west of Ruby Country on the border with Cornwall and offers something for everyone, from water sports to birdwatching. There are many miles of paths following the shorelines of the two lakes, meandering through woodland and on to open countryside. Download the Tamar Lakes Brochure for more information (PDF Download). 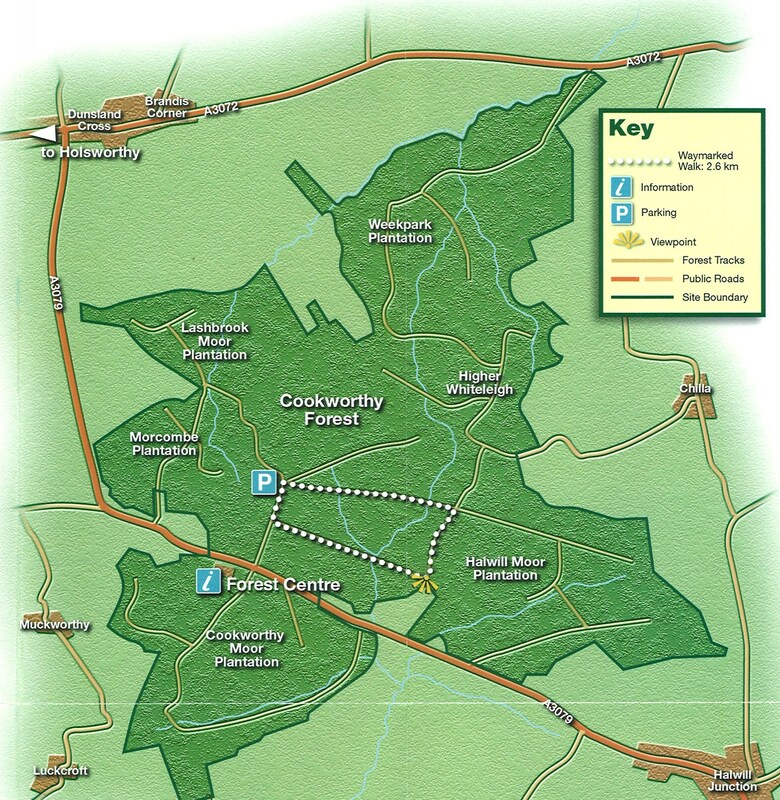 Click here to download a guide to Cookworthy Forest, including a 2 mile circular walk. Owned and managed by Devon Wildlife Trust, Halwill Junction Nature Reserve is a disused railway line with a variety of habitats. It was purchased by DWT from British Rail in 1990. Recently the old railway track has been converted into a surfaced cycle path connecting Halwill Junction to Cookworthy Forest. Owned and managed by Devon Wildlife Trust, Dunsdon Nature Reserve contains probably the single most important example in England of a type of pasture known locally as Culm grassland. Located about 5 miles from Holsworthy on the border with Cornwall Dunsdon is a great place to visit with good walks through a rare habitat with outstanding wildlife. To download a copy of Devon County Councils publication Walking in Devon click here (pdf download). There are a selection of walking routes in the nearby North Devon Area of Outstanding Natural Beauty.